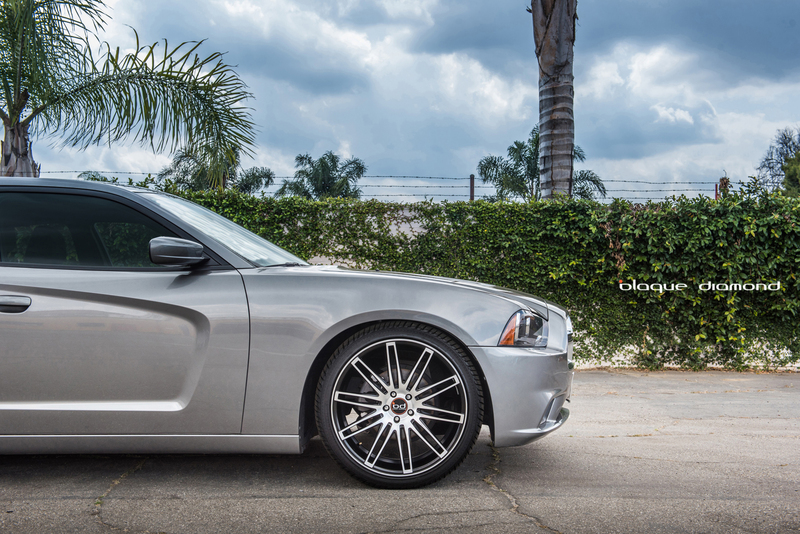 The Dodge Charger is a riot of a car in disguise. This perfect piece of Detroit machinery is muscular and bristling with bravado making it a staple in the American car market. 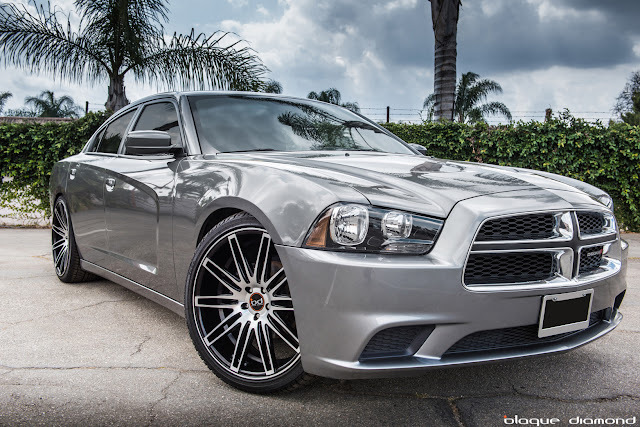 The Charger came to us with the standard with the 18 inch alloy wheels. This beast of a machine deserved something to match its monster personality. We fitted a set of 22 inch BD-2’s in matte graphite machined face and watched the entire character of it change before our eyes. The wheels not only add a sharper look, but the performance is dramatically increased. You can feel the wheels sticking to the pavement like glue, especially around those hairpin turns. Down the straight the ride was controlled and aggressive while still giving us the head turning looks we set out to achieve. The BD-2’s are one of Blaque Diamond’s most desired wheels. The arrays of finishes are attractive to the widest audience. The BD-2’s come finished in – silver polish, graphite machined, black machined, all graphite and matte black with gloss lip. 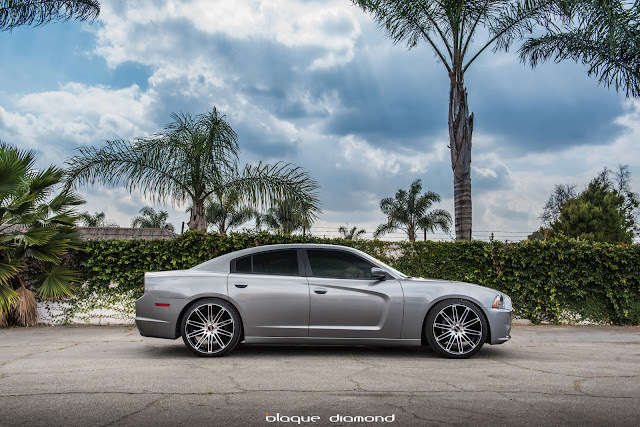 The staggered sizes available are 20 x 9, 20 x 10.5, 22 x 9 and 22 x 10.5.